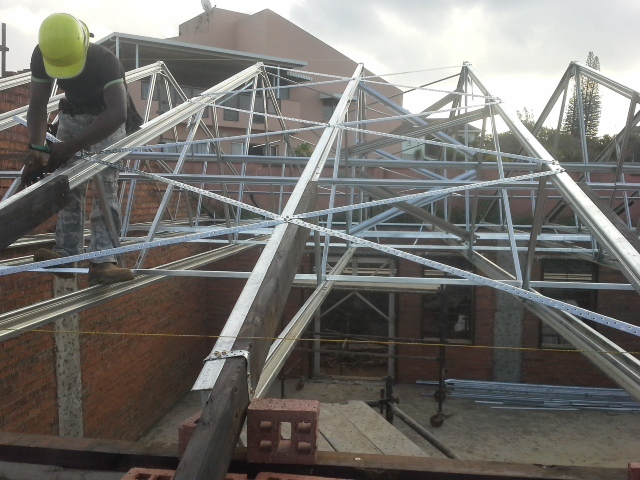 Our Projects are Puzzles that we solve step-by-step with our Clients & Design Partners. We prefer to collaboratively find the Solution using proven engineering methods and innovative international practices. How do you safely manage stormwater runoff on a high-risk domolitic site, where no ground infiltration is permitted, the nearest Stormwater drain is 200m away and the site slopes away from the road? 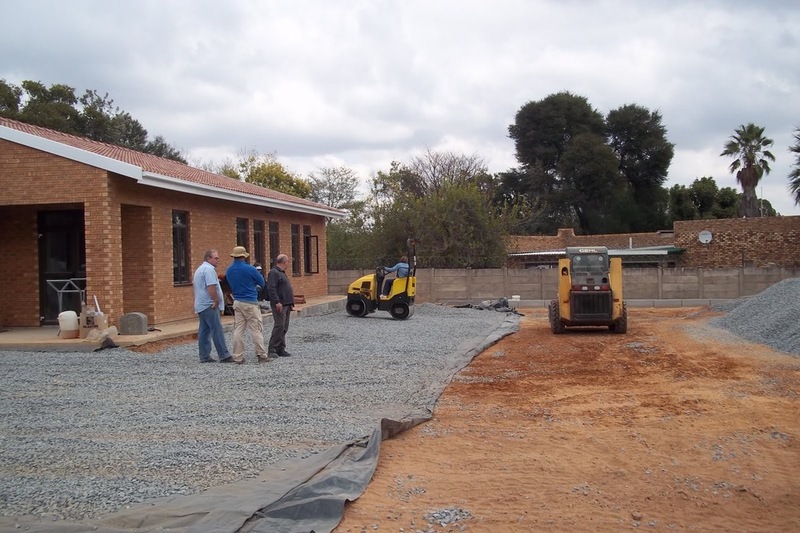 Solution: Impermeable permeable paving. The entire parking area was underlain with a permeable pavement layer to capture all runoff generated by the development. This ensured that runoff was responsibly managed and attenuated, however the permeable paving layer was itself underlain with an impermeable plastic membrane, ensuring that no water penetrated the dolomite bedrock. In addition, a massively-reinforced ground-beam slab was designed to accommodate a potential sinkhole forming underneath the structure leading to a loss of support. 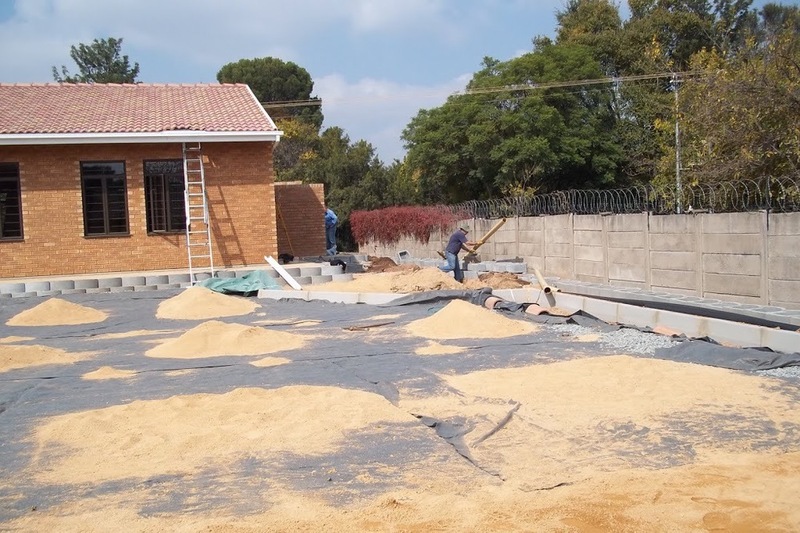 A new development on a steep slope in a built-up area required a 3000 m2 parking area. This meant that all runoff was discharging directly into an intersection. 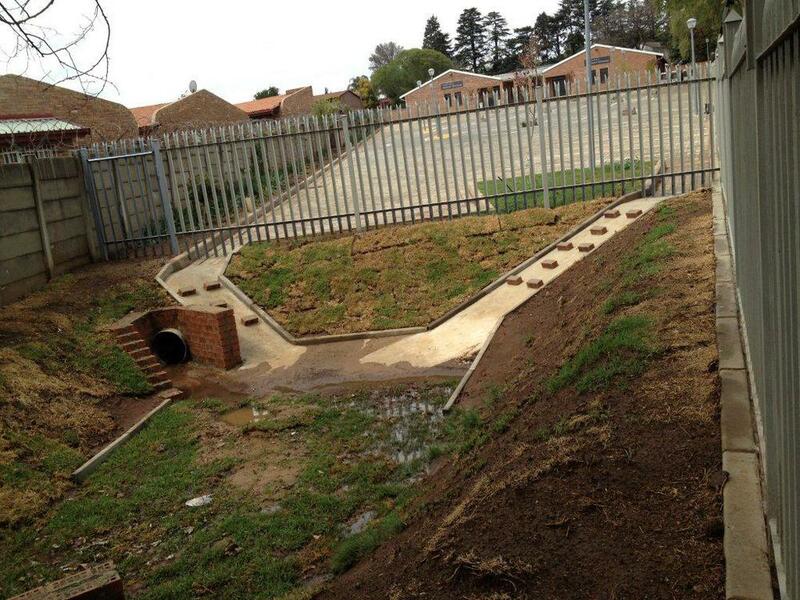 An attenuation pond was needed but there was very limited space on site. Solution: A miniature attenuation facility. Runoff is collected from the parking area and directed into two channels that feed a SUDS-appropriate Attenuation Pond. 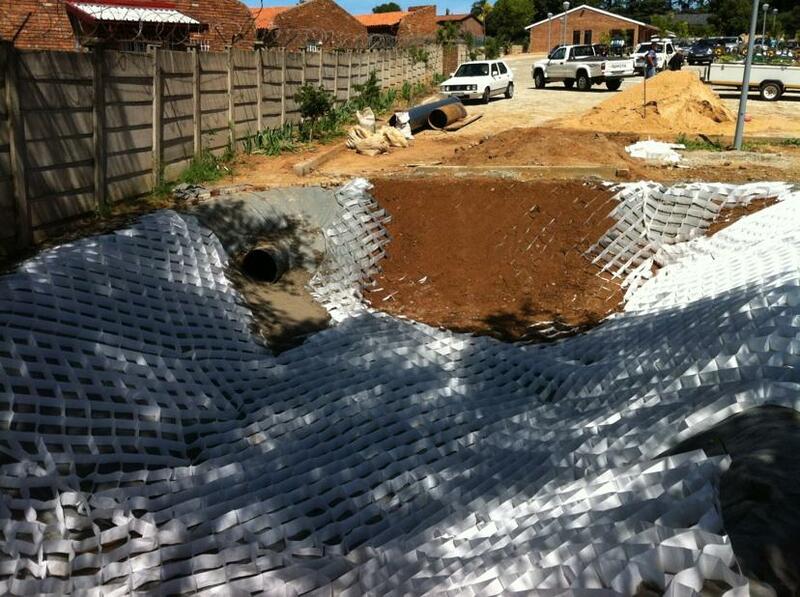 A MultiCell geotextile was used to shape a "steep & deep" attenuation pond in a constrained space to accommodate the 1-in-20 year Flood. The facility was mostly vegetated with hard surfaces used only where erosion was predicted, with special energy-dissipation measures employed. The facility has been in use for 4 years without incident. How do you retrofit a traditional office space into a multi-purpose production center with offices, full kitchen and canteen, and a recording studio? Oh, and did we mention the tight deadline? 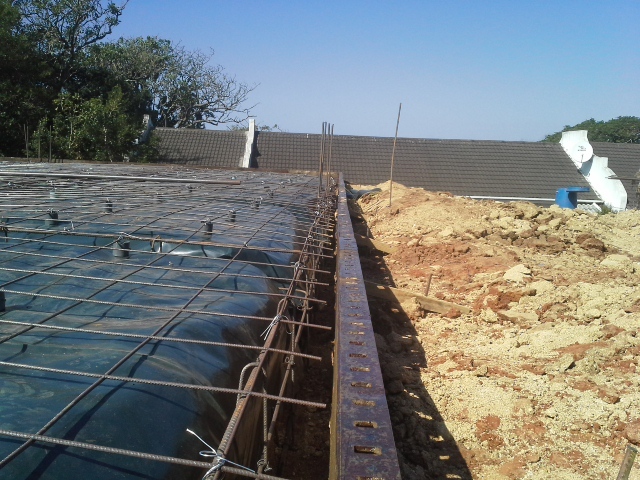 Solution: An assessment of the floor slab thickness by drilling cores at strategic points, and determining the maximum allowable weight and maximum wall height allowed. A rational fire prevention design was also undertaken, as well as a design for a double-stack ceiling for a recording studio. There were many considerations and detail design work in this project - but the outcome was well worth it. When a site is spatially constrained and unable to accommodate the proposed development and parking area on its normal site footprint, what can be done? 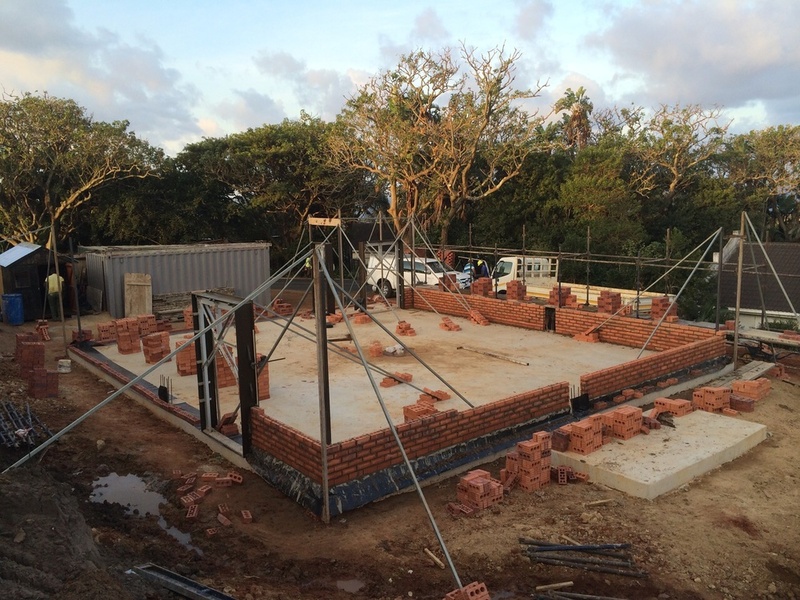 Solution: To create more space on site, it was necessary to design and construct a set of retaining walls - a wall at the bottom of the property to retain fill and another at the top of the site to retain the cut and protect the neighbour's property. This solution of two walls created an acceptable platform space required for the development and associated parking area. A raft foundation was designed and constructed on the cut-to-fill platform, with an adjacent small parking area.